Hello investors. Today we have a very special guest with us. He is an investor, entrepreneur, and a best-selling author. His book ‘How to avoid loss and earn consistently in the stock market?’ is currently the best-selling book on Amazon. I would like to welcome- Prasenjit Paul!! Let me give you a brief introduction about Prasenjit. He is a software engineer by qualification with bachelors of engineering degree from IIEST, Shibpur. He started investing from an age of 18. Due to his passion for stock market, he left his job at IBM on the first day to pursue his dreams in the investing world. Fast forward few years, and today he is running a successful equity advisory firm- Paul asset with clients from over 18 countries. Guys, I would like you to join in the inspiring journey of Prasenjit Paul. Q. Hi Prasenjit. My first question to you is an obvious one- How did you enter the world of investing? While I was 18, my father told me about the stock market. After that reading books like “Rich Dad Poor Dad” and few others made me determined for taking the stock market very seriously. Since then, I had spent my entire college life learning various aspects of the stock market. Although I was pursuing B. Tech in Information Technology, still I had completed around 25-30 books and countless websites related to the stock market. Even I had started offering equity advisory service on Trial basis while I was in the final year. Thus even before my career took off in the IT field, I was ready for the career in the stock market solely through self-learning. Q. Why did you quit IBM on your first day? I had accepted the offer from IBM just to gather an idea of the working culture of the corporate world. Once I interacted with few employees and visiting the office I was sure that I couldn’t give my 100% to an IT job. Moreover, even after spending in an IT job for 5-10 years, I didn’t foresee financial freedom or any meaningful reward. Thus, I made my mind to take the risk of quitting fixed salary routine. It was a very tough choice because of two reasons. Firstly, my parents, relatives and others were never in support of business instead all of them favoured corporate job. Secondly, during that time, I was not earning even fraction of the amount that IBM was offered. However, I took that risk and later it paid off very well! Q. When did you start ‘Paul Asset’ and how long were you running the business before you started paying yourself? I had an edge because I started Paul Asset during my college days and during those days I have no such compulsion of paying myself. Even after leaving college I had no liabilities like EMIs, paying to parents, rent etc. So, even with any amount of money, my target was to just stick to the target. I was confident that with true dedication sooner or later your hard work pays off. So, the point is the earlier you start, the higher would be the reward. Every aspiring entrepreneur should begin the journey during their teenage or during the early twenties. With the growing age, it becomes difficult. Q. Walk me through the step-by-step process that you went through after quitting your job, to get to where you are today? Actually, I had started the journey much before quitting my job. Apart from Paul Asset, I had even attempted two other business ventures during college days and failed badly. My target was to become an entrepreneur so within the college life itself I had attempted various ventures and later Paul Asset clicked while rest others failed. So, the point is to keep trying. No matter how talented you are, you can’t be successful in business with just one attempt. I just stick to the basics. Irrespective of failures, setbacks, depression, monetary loss, you have to keep trying with full dedication while keeping morals intact. Sooner or later Success will be yours. Q. When did you decide to write a book? Tell us about your journey from a novice to the author of the best-selling book on stock market investing. I had purchased the domain www.paulasset.com in the year of 2011 while I was in the 2nd year of my Engineering. Initially, the target was to write blogs on the Stock Market and monetise via Google Adwords. Fortunately, Google rejected few times while I submitted my blog and that inspired for starting subscription-based advisory service. Today, the advisory revenue is so big that I can’t even consider Google Adwords. Inspite of rejection from Google, I noticed that almost all of my readers liked my writing style. That inspired me writing a book to reach the larger audience. 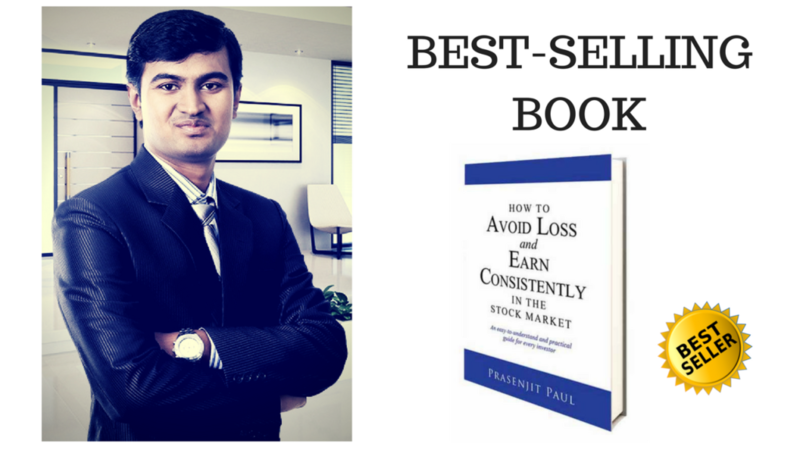 It took me more than two years to complete the book “How to Avoid Loss and Earn Consistently in the Stock Market”. The way people liked the book was also beyond my imagination. Since the last few years daily on average 50+ copies are being sold! Writing a book is very difficult because you need months-long concentration and patience, unlike a blog post that can be completed in one day itself. After the massive success of my first book, I am also working on the second book (not directly related to the stock market but related to the Money). However, due to my current schedule, I can rarely concentrate over a very long duration of few weeks and be realising the real challenge of writing books! Q. How do you start your workday? What’s like a day in the world of an investor? I have a relaxed work schedule. Although with the growing business, I have to look after so many things, work on multiple things simultaneously still it never created pressure on me. I never keep sitting in front of trading terminal. Daily price fluctuation doesn’t affect me at all. I start my day with reading newspaper or magazines and then as usual. What I learnt from my own experience is that to become a successful investor you must have a calm and cool head. Every day you will come across so many news, so many contradicting views. Many times your stocks won’t perform, you would stare at loss. In spite of all those, you have to keep your basics intact. I also idolise MS Dhoni and try learning a lot from his temperament. Q. What’s your investment strategy? I prefer growth over value. While you are investing in one of the world’s fastest-growing major economy like India, you must have to put higher focus on the growth over value. I generally prefer bottom-up analysis with long-term investing approach. I like companies where market size is huge enough to maintain the high growth rate with free cash flow generation while keeping light balance sheet. And I never attempted short term, intraday trading, Futures and Options etc. The reward and peace of mind from long-term investing is sufficient enough to ignore any short term options. Q. Who do you admire the most in stock market world? I can’t take one or two names. I admire and try to learn a little bit from many renowned personalities including sports person, businessman, authors and even politicians. There is something to learn from any successful persons in any field. Among Indian investors, I admire Ramdeo Agarwal, Vijay Kedia, Porinju Veliyath and Basant Maheswari. Outside India, I have deep respect for Warren Buffet, Charlie Munger, Peter Lynch and many others. Having said that I never attempted following any particular investor’s principles because I know I can’t be another Warren Buffet or Ramdeo Agarwal. So, I must have to be myself, and that is very important. Thus, I admire many successful personalities, try learning a little bit from all of them and finally be myself. 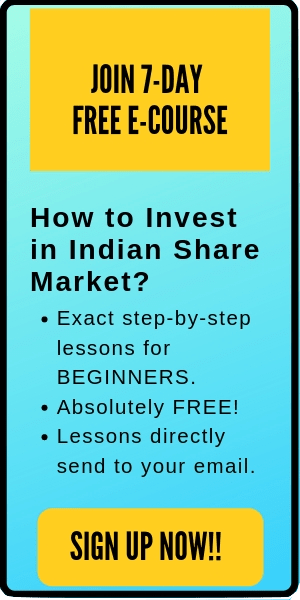 Related post: 3 Insanely Successful Stock Market Investors in India that you need to Know. Q. What are your favourite books on stock market? Again, I can’t name any single book. I try to keep learning from many books, magazines, websites etc. Few of my favourites books are, “One Up on Wall Street“, “The Intelligent Investor“, “The Little Book of Valuation“, “Dhando Investor” etc. Although not directly related to the stock market but the book “Rich Dad Poor Dad” motivated me a lot for starting my investment journey during college days. I strongly recommend the book “Rich Dad Poor Dad” to all youths. Even outside stock market, I owe much of my success to the authors like Robin Sharma, Shiv Khera, Robert Kiyosaki and many others. Q. What is still your biggest challenge? The biggest challenge is to maintain the performance and reputation. Since 2012, the brand Paul Asset helped many retail investors for the wealth creation. It makes me happy while I come to know that we helped many investors in reaching their personal goals like house, car, child’s education, marriage etc. The biggest challenge is to maintain our own past performance for the next many decades. It is easy to score a century on three consecutive matches but very difficult to maintain 50+ batting average over few decades long Cricket career. Success is a journey, not a destination. Q. If a newbie investor walked up to asking for your advice and you only had a few minutes to give ‘em your best tip, what would it be? You can’t be a successful investor just by reading 2-3 books. If you do, then it is only you are lucky in few particular instances, and it can’t be repeated, i.e. you can’t maintain the consistency. Remember from Nursery to Graduation you have spent 18+ years to become successful in your current profession. So, there is no shortcut. With the advent of internet, everything at your fingertips but you have to work hard and give time to master any art. From the beginning, my target was to add values while keeping morals intact. Name, fame and money would automatically follow. So, the next is also value creation keeping the morals intact. Everything else would automatically follow. Q. Thank you so much Prasenjit, for sharing your valuable time and knowledge. Anything else that you would like to share with our readers? Keep doing whatever you believe for yourself. Successful journeys are always filled with obstacles. Successful peoples are not Lucky. Instead, Luck is attracted towards them for their honest dedication and hard work. Whatever you are today is the result of your last 5-10 years. So, if you really want a better future for yourself on any field, make sure to dedicate at least 5-10 years while keeping morals intact. Good Luck! Thank you so much Prasenjit for sharing your time. Your journey is truly inspiring for all the new and old investors. Many times your stocks won’t perform, you would stare at loss. In spite of all those, you have to keep your basics intact. Prefer growth over value. While you are investing in one of the world’s fastest-growing major economy like India, you must have to put higher focus on the growth over value. 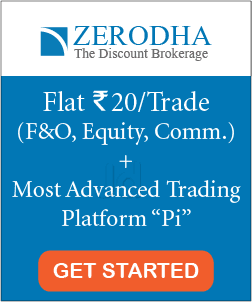 Avoid short term, intraday trading, Futures and Options etc. The reward and peace of mind from long-term investing is sufficient enough to ignore any short term options. Finally, Practice, Practice and Practice. That’s all. I hope this interview is encouraging for all our readers to take their next step in the investment world. Do comment below if you have any questions. Will love to answer.